You know how every good fantasy or occasionally even a scifi novel will have a detailed map of the world the story is set in? Lord of the Rings is the prototype for this. 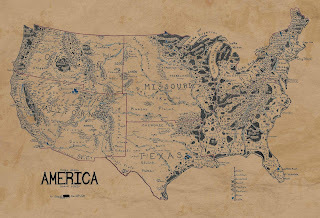 That's why a fellow on Reddit created a map of the United States of America in the style of LOTR, which turned out pretty hilarious. 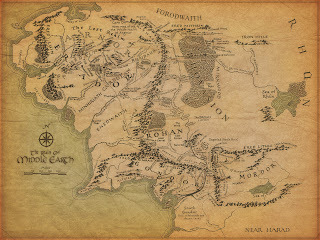 First, here's an example of a classic LOTR map. 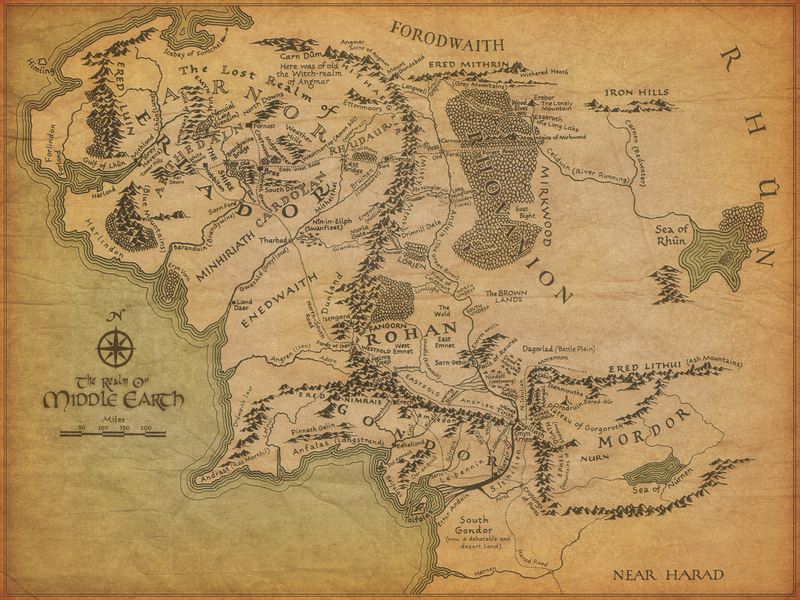 And here's the LOTR-style map. The original was hand-drawn on grid paper. 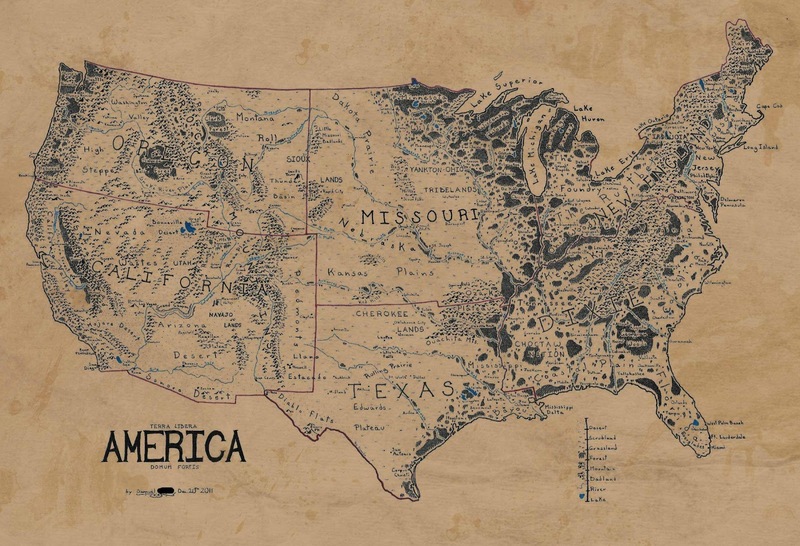 And because this is Reddit, other users quickly stepped up to remove grid lines, colorize, and antique it. Here's the final result. Click to enlarge. 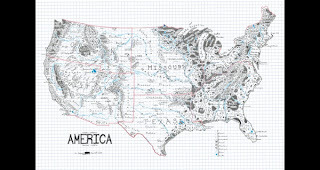 What do you think of the map? Someone went to a lot of work. Looks like I live in the land of Dixie. i want one of these for my wall... what a great idea.